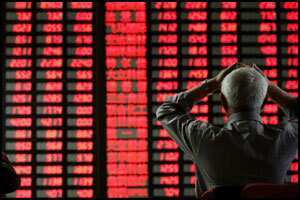 Hong Kong: Asian shares were mixed in early trade on Tuesday with investors taking a breather from the previous day’s rally as they nervously await a crucial summit aimed at tackling the eurozone debt crisis. “It’s a consequence of the strong gains and a little bit of caution before Wednesday’s EU summit," Macquarie Private Wealth investment adviser James Rosenberg said in Australia. “Sure there’s optimism on Europe, but this will be their 14th crisis meeting in 21 months." Tokyo dipped 0.27% by the break, Sydney was 0.12% lower and Shanghai fell 0.10% while Hong Kong added 0.60% and Seoul was flat. Attention has been fixed on Europe, where debt crises in Greece, Italy and Spain have raised concerns that at least one of them could default on their repayments, leading to a credit crunch and possibly another global meltdown. However, European leaders, including French President Nicolas Sarkozy and IMF chief Christine Lagarde, on Sunday said “good progress" had been made in a summit on the crisis. They announced few details but promised to reveal all after a second round of high-level talks on Wednesday. The eurozone wants to beef up its €440 billion ($610 billion) rescue fund, the European Financial Stability Facility, to convince markets it has the means to protect highly indebted nations. Leaders also want to agree on a huge write-down on the debt of stricken Greece and make sure banks have enough firepower to withstand these losses. Despite the Europeans’ progress, there are concerns they might not be able to do enough because of their many differences. “With high expectation being priced in, any under-delivery will disappoint the market and spark a sell-off," said Credit Agricole strategist Mitul Kotecha, according to Dow Jones Newswires. While optimism over Europe provided a strong base, US shares were also pushed higher by strong corporate earnings. Among the standout reports was Caterpillar, the world’s leading manufacturer of heavy construction and mining equipment, which posted a 44% profit rise on robust revenues. Often considered a bell-wether of the global economy, Caterpillar said it had its best-ever quarter for sales and an order backlog at an all-time high. The Dow gained 0.89%, the Nasdaq added 2.35% and the S&P 500 climbed 1.29%. On currency markets the dollar continued to be pressured by the yen after it sank to a record low 75.78 against the Japanese unit on Friday. The greenback was at ¥76.16 in Tokyo, from ¥76.09 in New York late Monday. The euro bought $1.3911, from $1.3929 in New York, and ¥105.94, from ¥106.02. New York’s main contract, light sweet crude for December delivery, gained 27 cents to $91.54 per barrel. Brent North Sea crude for delivery in December, fell 44 cents to $111.01.